Selling to doctors or hospitals? Add value during every step of your sales process. 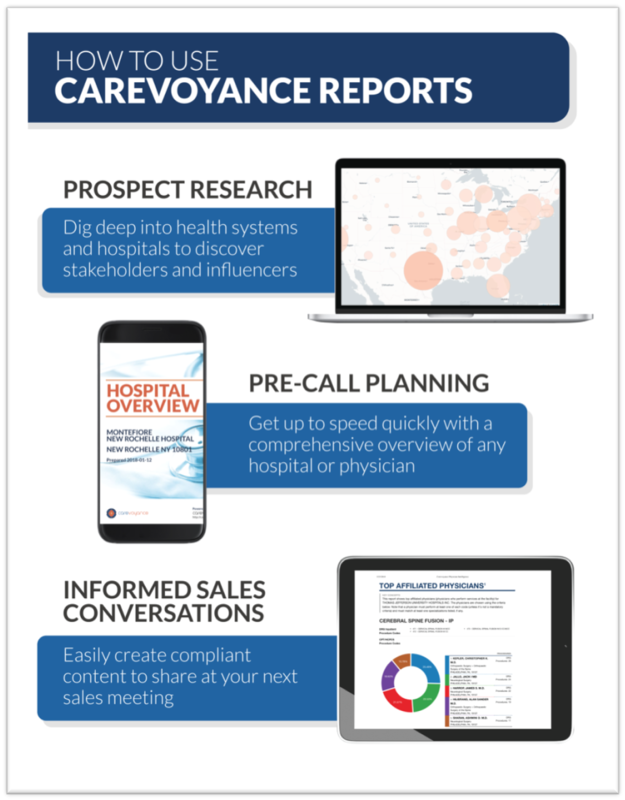 Carevoyance healthcare reports are customized for your product, personalized for your audience.